Housebuilders are the largest growth area for sales of Zenith solid-core laminate worksurface. Nick Jones, Sales, and Marketing Director for Wilsonart UK. 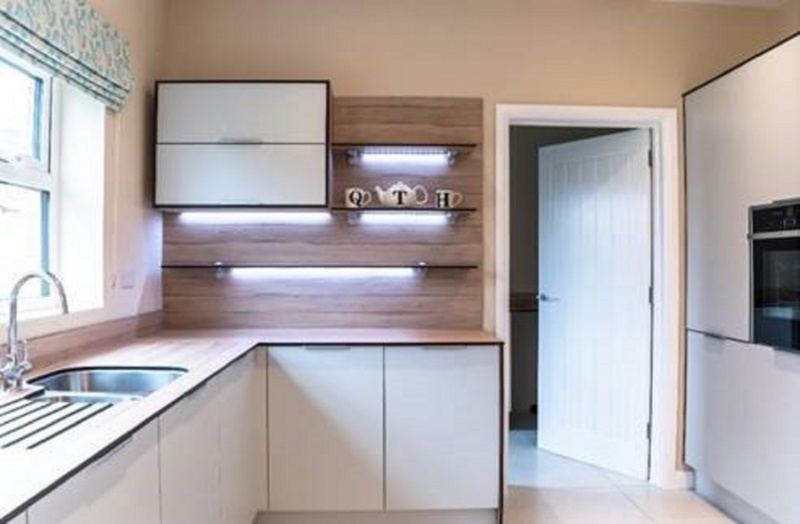 Curves, thick-and-thin surface combinations and co-ordinating backsplashes are easy to create and can be fixed at the same time the kitchen or bathroom units are being installed. Zenith has a decorative surface finish on both sides, perfect to create waterfall-end panels and co-ordinated bespoke open shelves. In a kitchen an under-mount sink with drainer grooves that reveal the stunning black core are practical and easy to create. 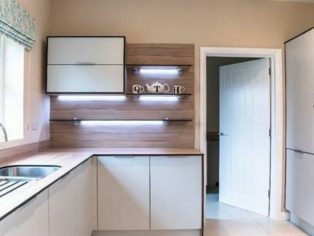 Zenith can be installed with standard tooling and is available in a choice of 3-metre; worksurfaces, breakfast bars, upstands, and splashbacks as well as a 950mm curved module. www.wilsonart.co.uk. Pictured here Zenith used in a home built by award-winning developer www.qth.co.uk in Belfast. 3 textures: Roche a lifelike slate or concrete design. Granite, looks and feels like granite and Linimat, a blended linear flat structure that produces an authentic solid wood effect.